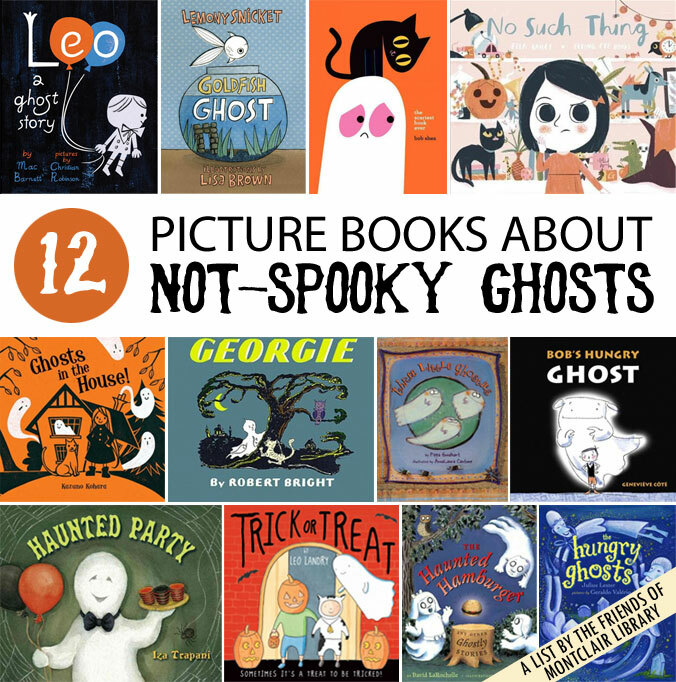 For your Halloween reading pleasure, a collection of OPL picture books about ghosts who are more curious, perhaps hungry or even scared themselves than scary. Tip: Check the Holiday cart by the children’s librarian’s desk for more spooky fun books! Leo: A Ghost Story by Mac Barnett (J PICBK BARNETT) – Leo is a friendly house ghost – but when a family moves into his house and tries to get rid of him, he leaves and roams the city looking for a friend. Goldfish Ghost by Lemony Snicket (J PICBK SNICKET) – Follow the adventures of a recently-deceased goldfish as he floats – upside-down, of course – through the world. No Such Thing by Ella Bailey (J PICBK BAILEY) (not at Montclair) – Join fearless little Georgia in debunking the spookiest of ghoulish and ghostly activities! Ghosts in the House! 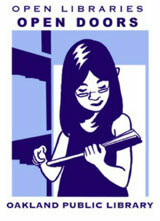 by Kazuno Kohara (J PICBK KOHARA) (not at Montclair) – Tired of living in a haunted house, a young witch captures, washes and turns her pesky ghosts into curtains and a tablecloth. Three Little Ghosties by Pippa Goodhart (J PICBK GOODHART) – Three mischievous ghosts love scaring little children, until the children decide to take matters into their own hands. Bob’s Hungry Ghost by Geneviève Côté (J PICBK COTE) (not at Montclair) – Wanting a dog for his birthday but instead receiving a pet ghost named Fluffy, young Bob becomes frustrated by his ghost companion’s disobedience and inclination to eat everything in sight. Haunted Party by Iza Trapani (J PICBK TRAPANI) – In this counting book that introduces the numbers from one to ten, a ghost and his supernatural friends have a party on Halloween night. Trick or Treat by Leo Landry (J PICBK LANDRY) – On Halloween, Oliver the ghost has a lot of work to do before the trick-or-treaters come knocking at his door–and before the spookiest guests arrive at his costume party. The Haunted Hamburger and Other Ghostly Stories by David LaRochelle (J PICBK LaROCHELL) – A ghost father tells his children three frightening stories to help them go to sleep at night. The Hungry Ghosts by Julius Lester (J PICBK LESTER) – A resourceful young boy tries to help three hungry ghosts find something to eat.